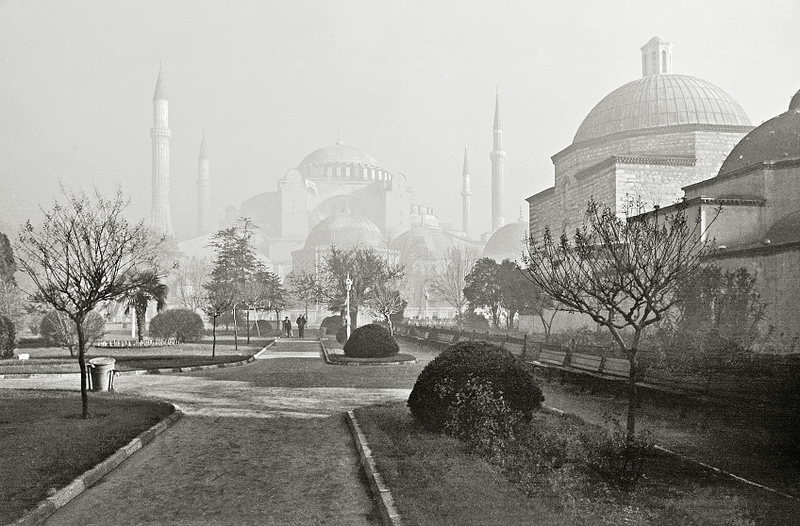 One of the world's great structures, Hagia Sophia, the 'Church of Holy Wisdom', is the third church to stand on the site. Dedicated in 537 during the reign of Justinian, it was rededicated in 563 after earthquakes caused partial collapse of the building. After the Ottoman Conquest the church became a mosque, the minarets being added at various times during the Ottoman era. It was closed to worshippers in 1931, reopening in 1935 as a museum. On the right is part of the Hürrem Sultan Hamamı complex, also known as the Baths of Roxelana, built by Sinan in 1556.